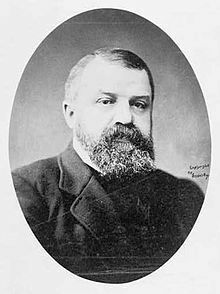 D. L. Moody | Pray for Revival! You are currently browsing the category archive for the ‘D. L. Moody’ category. In 1872, D. L. Moody and Ira Sankey went to England for a series of revival meetings that shook the entire nation. In one service, so many people responded to the invitation that Moody asked them all to sit back down, and explained the Gospel again to make sure they understood the message—even more people responded the second time! In that church there was an elderly lady who had been confined to her home by illness. When one of her relatives went to the house to tell her about the revival, she opened her purse and pulled out a news story about Moody’s work in America. She said that she had been praying for two years that God would send Moody to her church and usher in a great work of God. All of the organization, programs, and planning that we do can never take the place of the work of the Spirit of God. He is the One who touches hearts of Christians and unbelievers alike and moves them to action. He is the one who produces conversions and changed lives. And He works in response to the prayers of God’s people. Will We Regret Not Praying Enough When We See Jesus? The Importance of Ministry Toward Children! Let us pray hard that the children around us come to Jesus!